At Flatliners Pest Control, we provide the most effective rat and rodent control services in Las Vegas. 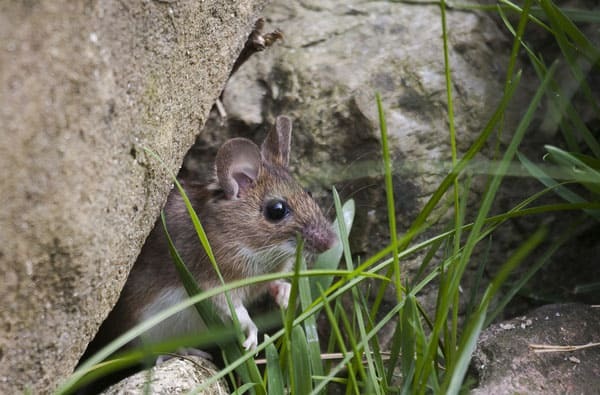 If you suspect an infestation of rats or mice on your property, save time and money by trusting our rodent extermination experts. Without proper prevention measures in place, it’s only a matter of time between seeing a mouse in the yard and finding one in your kitchen. Let us help with any and all your rodent elimination needs. Droppings Behind Furniture & Along Baseboards. Once you know these pests are around, it’s time to take action. Clean up clutter and yard debris, make sure all food and pet food is stored in tightly closed containers each night, and call us at Flatliners Pest Control. We can help you with a quick rodent, mouse or rat removal solution and sustainable pest management options. Roof rats, desert woodrats, and deer mice or field mice are the most common rodents that invade our property and Southern Nevada homes. Depending on the species, these rats and mice can produce between 8 and 14 babies per litter. In just weeks, each new rat or mouse can start litters of their own. So don’t delay, call our team of experienced rodent pest control technicians. When you spot the signs of your uninvited guests, your first instinct may be to get rid of them yourself. Unfortunately, these pests can be tricky to exterminate safely and thoroughly without professional knowledge and tools on your side. In the meantime, rodents continue to cause damage. Leave the work and worry to us. Get Rid Of Rats & Mice Today! At Flatliners Pest Control, we will get rid of rats, mice, and any rodent that has invaded your home or business in Las Vegas. Our knowledgeable staff can also help you manage rodent control by taking measures to prevent future infestations. We take pride in offering you pest extermination that is not only environmentally friendly but also pet safe and child safe. Contact us today to schedule the most efficient and reliable rodent control service around.